That vacation was a lot longer than I had anticipated. My cycling hiatus started back in July, about a week before my prior post; a post which has served as marvelous a place marker as any while I kept a safe distance from cycling and the insanity it can generate in a non-cycling cyclist. Over the past couple of years I had been oscillating between cycling activity and inactivity largely due to a recurring bout of medial knee pain. I would treat the pain with R.I.C.E. as well as massage therapy, and then get back to training for some event or another. It has been very frustrating to gain a high level of fitness and then to throw away months of work with a few weeks off the bike due to soreness. I had gone to great lengths and expense to diagnose and treat the knee issue, and each time I would have promising results… only to see my hopes dashed again by a new twinge in the knee. With all this focus on the knee and little help from medical personnel, who would prescribe rest and shrug when I would ask for a possible cause, I had not paid too much attention to the "knot" I was feeling in my lower back. I would chalk it up to lack of fitness after resting the knee and it would go away with increased riding. Last July, after building back from another knee flare-up in preparation for the ride over the Central Mountain Range, I had been trying to stretch my back out a bit more and see if I could undo the knot. I was assuming I had a muscle that has gotten out of sorts and simply needed to be put back in a more relaxed position through stretching. I was in my office and I raised my arms toward the sky. Zap! A blazing bold of electric pain shot down my back and into my foot. I was totally unable to stand upright or put any weight on my right leg. I had assumed I could massage the pain away and stretch myself into riding shape… and I did… I thought. I completed that majestic ride through the mountains and then within a couple days I was on a plane to the United States, where I planned to spend a month off the bike to recover. The pain persisted, but subsided somewhat with rest on an American box spring bed, and I was hopeful I would be able to return to Taiwan ready for some all-out, methodical, serious training. By the time I returned in late August, the pain in my back had been reduced to a dull ache that would occasionally flare up if I tested it. I did what any cycling fool would do, and I got on the bike thinking a little strengthening work would pull the last bit of soreness right out. I did one last ride with my old riding buddy, Dom, and stretched the back out all the way. The next morning I could hardly get out of bed. I needed to roll onto my elbows and push my feet off the edge of the bed to even stand up. The second day was worse. I tried sleeping at the foot of the bed without the dip where I normally sleep hoping the firmness would help. I could hardly move. At work I could stand for no more than five minutes before grabbing the edge of a desk or cabinet for support. I was bent and hobbling and in agony. A trip to the doctor revealed some very bad news. A muscle imbalance had led to minor scoliosis and a herniated disk. The goo squirting from the disk had aggravated the sciatic nerve and thus I was in incredible, unrelenting pain, and would be for a number of weeks. After six months of complete abstinence, I am finally cycling again. A: I had been stretching less while building strength in my muscles and my fit changed. I did not notice or adjust for the change and, as a result, I developed a muscle imbalance that was aggravating my sciatic nerve and thus triggering knee pain. I would treat the knee (symptom) and not the cause. I also allowed my core strength to deteriorate as I had less time to devote to training… forgetting the rule that much of cycling performance comes from training, diet, rest and preparation off the bike. Whoops! The prime suspect would be the Illiopsoas muscle group (hip flexors) in my right hip. I developed a slight dip in my stroke to compensate and, with the repetition over my notoriously long rides, my spine was pulled and disk deteriorated. That is one theory. B: An over training injury in my left knee led to my favoring the right over the left. I am already prone to favoring the right side (I was a goofy foot skater back in the day), so it is a possibility. The over strengthening led to a wobble that led to a total breakdown of my stroke and disaster. 1. A perfectly sized and custom fit bike. 2. A new mattress on the bed. 3. A body that has rested for six months so I will have no real base to speak of and must start from scratch. 4. I healthy fear of lapsing from good habits and some healthy added perspective. 5. Fat that needs to go. 6. A stretched spine and strengthened core. Nothing is more debilitating that a serious back injury. It makes almost all types of exercise impossible. Now, as I head back onto the roads… I think I may need to see where I can pick up some aero carbon fiber training wheels. Take time for all the little things or it can lead to lots of time away from something you love. Yikes. That picture says it all. Happy to hear you are heading back out, cycling balanced with the little things. Still have photos of that last ride? I had no idea it got that bad. I have an unsafe tolerance for pain. 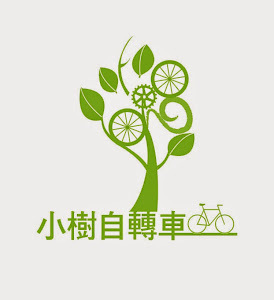 I check in on your blog from time to time as I loved my cycling experience in Kaohsiung. Wondered what happened but that explains it. Low pain threshold can sometimes be a good thing.